PLANS TO REBUILD 3RD TEMPLE MIGHT BE CLOSE-TEMPLEINSTITUTE GIVES US THE BLUE PRINTS.AND THE PLANS HAVE BEGUN. PLANS TO REBUILD 3RD TEMPLE MIGHT BE CLOSE-TEMPLEINSTITUTE GIVES US THE BLUE PRINTS. IDF launches massive 3-day drill, calls up thousands of reservists-july 28,15-jpost-Exercise will test military's ability to transition to emergency mode; Hundreds of thousands of reservists will receive telephone message. The IDF General Staff launched a large-scale, threeday drill on Monday, testing the military’s ability to rapidly transition itself from routine activities to an emergency war footing.Over the course of the drill, hundreds of thousands of IDF reservists will receive mock telephone messages asking them to confirm that the call-up system works, and thousands of reservists will be physically called up to bases at short notice.“This is one of the largest reservist telephone call-ups we’ve had in an exercise,” a senior military source said.“We want to ensure that the system is well-oiled and working.”The IDF’s Northern and Southern territorial commands will drill response to attacks from Syria, Lebanon, and Gaza.“This is part of the planned graph of exercises for this year,” the source stressed. “It is part of our activities linked to working on our readiness.”During the call up, the Israel Air Force will place its air bases in emergency mode, and practice rapidly translating intelligence data into air strikes.The Israel Navy also will take part, testing its infrastructure.“For the first time, cyber defenses will be a part of a General Staff exercise,” the source said.The IDF’s Southern Command will seek to apply lessons learned from last summer’s Operation Protective Edge, and hold exercises responding to mock rocket attacks from the Gaza Strip.The IDF’s Operations Branch will practice coordinating various emergency maneuvers across the country, and the Home Front Command’s search and rescue battalions will hold a number of drills, including one held at a mock disaster site in Holon on Monday.Civilians can expect to see an increase in military traffic around schools in a number of cities, including Beit Shemesh and Herzliya, and around Herzliya’s Shivat Kohavim shopping mall, Tel Aviv’s Central Bus Station, and the Tel Aviv Municipality during the three-day period.Maj. (res.) Dudi Mizrahi, commander of a national Home Front Command search and rescue unit, said soldiers had been quickly mobilized to a site simulating many casualties and wide-spread destruction caused by a missile strike, with trapped civilians among the rubble.“We are simulating readiness and immediate mobilization, to maintain our operational capabilities so that in a real situation we will function in the best way possible to save lives,” Mizrahi said.Lt.-Col. Hai Rekah, commander of the Home Front Command’s Tavor Battalion, said units were mobilized to various mock destruction sites as part of the drill on Monday.“The battalion’s goal is to operate in these situations as rapidly and efficiently as possible,” he said. Rabbi Yehuda Glick, the most prominent activist for the rights of Jews on the Temple Mount, may soon become a Knesset member.This development is the result of a vote Tuesday in the Knesset's Law, Constitution and Justice Committee, to approve two amendments to the so-called Norwegian Law, which allows ministers to resign from the Knesset while remaining in the government, thus allowing other members of their party into the parliament in their stead.One of the amendments, introduced bu Likud MK David Amsallem, sets the number of Likud ministers who will be allowed to do this at three. This means that numbers 31, 32 and 33 on the Likud list - Sharen Haskell, Amir Ohana and Glick, respectively - will enter the Knesset.There will, however, be a revote on the amendment before it is taken to the plenum for approval.Glick was shot nine months ago by an Arab, who wanted to kill him because of his insistence upon Jewish rights on the Temple Mount. He was seriously wounded but recovered quite amazingly. 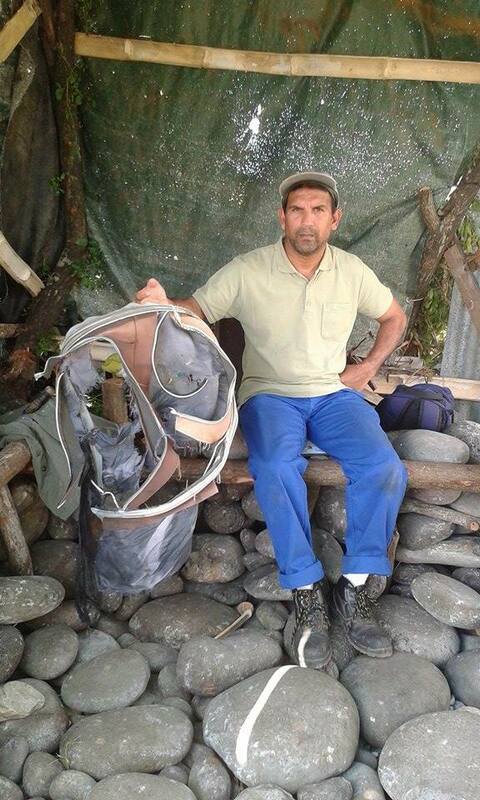 POSSIBLE SUITE CASE FOUND FROM FLIGHT MH370.THE DEBRIS KEEPS COMING IN TO REUNION. THIS IS A STORY FROM FEBRUARY THIS YEAR.BUT NOW THE U.S.A INTELIGENCE ASSESSMENT SAYS ALSO-THE MH370 WAS ON PURPOSELY STEERED OFF COURSE. WE JUST DO NOT KNOW BY WHO. AFTER FINDING THE PART OF THE WING UNDERNEATH OF A BOEING-777.THEN ON THURSDAY-THEY FOUND A EMPTY SUIT CASE FLOATING ON SHORE.AND THE CHINESE FAMILY MEMBERS ARE HOPPIN MAD.NOBODY HAS CONTACTED THEM ASSOCIATED WITH THE MH370 INVESTIGATION. TO KEEP THEM UP TO DATE WITH THIS CURRENT INVESTIGATION.WHAT COULD BE THE MH370-THE PLANE THAT CRASHED IN THE SOUTHERN INDIAN OCEAN 16+ MONTHS AGO.OR 500 PLUS DAYS AGO. Hang on to your tin hats, here comes MH370 again. A piece of airplane has been found on a small island in the Indian Ocean, and to some, it looks very much like it came from the same model of commercial airliner that infamously disappeared without a trace in March 2014.The section of wing was found on a beach in Réunion Island, a territory of France about 580 miles southeast of Madagascar. According to Xavier Tytelman, an airplane security expert based in France, a group of ecologists found the wreckage while doing a beach clean-up. A journalist on the island sent Tytelman photos of the wreckage, so he’s done some armchair sleuthing. But investigators from Boeing and French aviation authorities are already working to determine for sure whether this is part of the missing plane by analyzing plane designs, part numbers, and weather patterns.In case you missed it, Malaysia Airlines Flight 370 was a Boeing 777 carrying 227 passengers and 12 crew that went missing March 8, 2014, while en route from Kuala Lumpur, Malaysia to Beijing. It lost connection with ground control about an hour after takeoff, and a months-long search over thousands of square miles of ocean turned up nada. If this wing section does belong to the crash, it will dispel many theories, and bring the world a lot closer to closure.To Tytelman, the wreckage—now in the hands of local authorities—looks like a flaperon, a movable foil on the back of a wing. 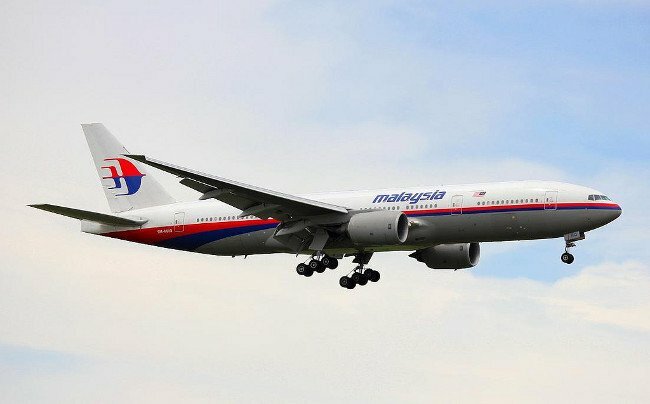 Best case scenario for linking the part with MH370 would be to find a number on it that’s unique to the plane. “Every manufacturer puts a data tag, or data plate, on every part that goes on an airplane,” with the exception of things like screws, says former NTSB investigator Greg Feith. That can include a part number, serial number, bar code, or other information. “If that data plate is there, it’s relatively easy” to match it with the type of plane it’s from, says Feith. 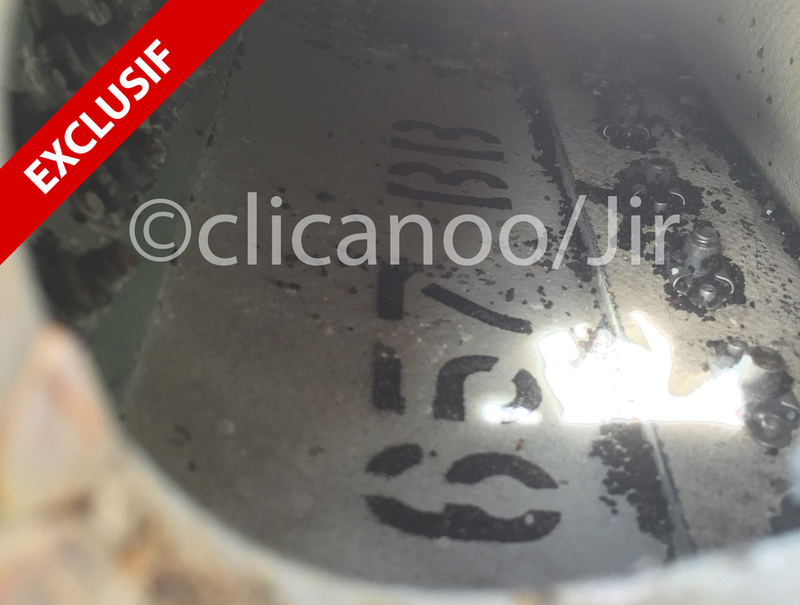 A serial number would link it to a specific jet. Tytelman says he found two letters and three numbers, BB670, on the part, which he thinks might be part of a serial number—though it doesn’t match that of the missing aircraft.You want it to be what you're looking for, but you have to put that aside and look at the facts of the case and you have to make a judgment. Richard Gillespie, director of the The International Group for Historic Aircraft Recovery-In the absence of verified serial or part numbers, the best place for investigators to start is figuring out what kind of plane the part comes from, and using circumstantial evidence to trace the wreckage back to a specific crash. Given the size of this wreckage—it’s about six and a half feet long, according to Agence France Presse—it should be easy to figure out whether or not it came from a Boeing 777.“All airplanes are unique, they have very distinctive features,” says Richard Gillespie, director of the The International Group for Historic Aircraft Recovery (TIGHAR) in Pennsylvania. An inspector would look at the metal’s thickness, its rivet pattern, and for other distinctive structures to try to link it to a specific model. Since receiving the pictures of the wreckage, Tytelman has been looking for matching parts. “In the beginning we didn’t find anything that was correct,” he says. 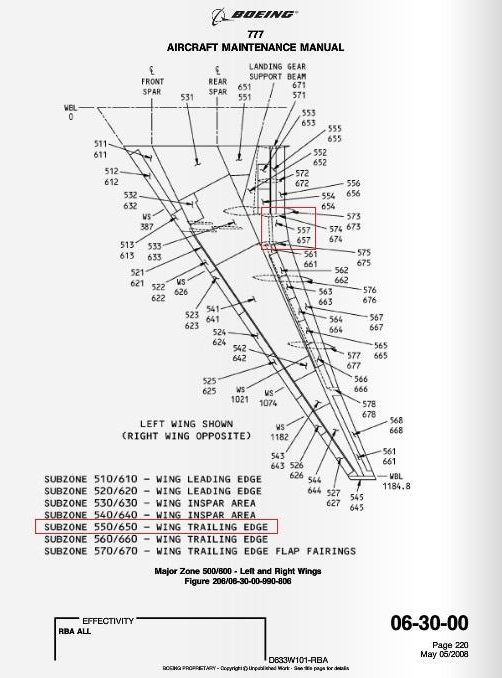 Then a Boeing investigator sent him a black and white schematic of a 777’s flaperon. The drawing clearly shows the actuator fitting—the motor that moves the flap up and down—which Tytelman says perfectly matches the pictures. That would mean the wing came from a Boeing 777, and because exactly one Boeing 777 has ever been lost at sea…Not so fast. “When looking at something like this you have to be as objective and unbiased as possible,” says Gillespie. “You want it to be what you’re looking for, but you have to put that aside and look at the facts of the case and you have to make a judgment.” He would know—he and TIGHAR have spent decades investigating scraps of metal purported to have come from Amelia Earhart‘s lost Model 10 Electra.Inspectors will have to compare the flaperon’s structure with that of many different aircraft before they can be absolutely sure it came from MH370. There’s a good chance we’re looking at a totally different jet, Feith says. A Yemenia Airways Airbus A310 crashed in the ocean not far from Réunion in 2009, so “it could be part of that aircraft, or MH370, or some other wreckage from even some old airplane, who knows.”“Maybe now that there’s a big buzz about this, somebody someplace will find that it fits an Airbus,” says Tytelman. “For me, it’s finished.”If the flaperon is indeed from a Boeing 777, the inspectors would turn to circumstantial evidence to see how likely it is it came from MH370. “If it’s from a 777, then it has to be a 777 that went in the water,” says Gillepsie. And MH370 is the only Boeing 777 ever lost at sea.But that doesn’t mean the inspectors will light up their Gauloises and retire to the café for celebratory champagne (or whatever it is French inspectors do to celebrate) once they confirm the plane’s model. They’ll still need to confirm the piece of wing spent the requisite time at sea, and will want to get a better idea of how it made its way from wherever MH370 went down (still a mystery) to Réunion.That’ll be the tricky part. This particular beach is about 4,000 miles from the most likely MH370 crash sites. If this flaperon did come from MH370, it would probably have been carried by the Indian Ocean gyre, which moves clockwise. (If the wing had traveled by gyre, there would have to have been some insulation or trapped air to keep it afloat.) To check that theory, the inspectors would have to check the flaperon’s paint and metal for corrosion, expecting to see damage that looked about a year old. Tytelman points out that the wing section does not have any sea grass on it, suggesting that it had not been at sea for long.Boeing declined to comment for this story, but said it’s helping French officials with the investigation—along with countless computer chair sleuths around the globe. SHABBAT NACHAMU - SHABBAT OF COMFORTING-takes its name from the haftarah from Isaiah in the Book of Isaiah 40:1-26 that speaks of "comforting" the Jewish people for their suffering. It the first of seven haftarahs of consolation leading up to the holiday of Rosh Hashanah, the Jewish New Year. A re-established and self declared Israeli Sanhedrin is calling US President Barack Obama to trial for what it says are “criminal offenses” against the Jewish people following the passage of the Iran nuclear deal.The modern day Jewish high court, made up of 71 Judaic scholars and rabbis, plan to bring the American president to trial on Mount Zion on September 9, 2015, four days before Rosh Hashana, the beginning of heavenly judgement days for the Jewish nation.According to a letter obtained exclusively by Breaking Israel News that was sent to the president, the Sanhedrin calls out Obama for “deliberately promoting genocide for the Jewish people.” The judges of the Sanhedrin call on the president to “immediately announce that you are repealing and suspending the agreement.”The Sanhedrin, which has been active in Israel for over a decade, recently made news when it announced that it would be putting Pope Francis on trial in absentia for his recognition of a “State of Palestine”.“We are here for matters great and small, those that pertain to Israel, and those that pertain to other nations as well,” said Rabbi Dov Stein, secretary of the Sanhedrin, to Breaking Israel News. “It is part of the process of Geula (redemption) and of the Nation of Israel coming back to the Land of Israel, reestablishing the Sanhedrin and restoring the nation as it once was, ‘For out of Zion shall the Torah go out, and the world of God from Jerusalem. '”The original Hebrew letter, with its English translation, sent to the US leader by the Sanhedrin can be read below. A re-established and self declared Israeli Sanhedrin, the religious High Court composed of 71 sages, has declared that it is putting Pope Francis on trial unless he retracts his statement that the Jews have no right to the land of Israel or to Jerusalem.In February 2013, the Vatican officially recognized the “State of Palestine” but more significantly, the Vatican signed a treaty in June with “Palestine” in which the Holy See switched its diplomatic relations from the Palestinian Liberation Organization to the “State of Palestine”. This treaty is the first legal document negotiated between the Holy See and the Palestinian state and as such, constitutes an official recognition.The trial and judgment will be on September 20th, 2015. If Pope Francis chooses to ignore the summons, he will be judged in absentia.The Sanhedrin sent a letter to Pope Francis in reaction to the Vatican’s recent support of the Palestinian Authority’s unilateral moves to declare themselves a nation, reported the Hebrew magazine Matzav Haruach on June 24.The letter stated:“Because the Vatican recognized the organization known as the Palestinian Authority as a nation, and has begun to refer to it as a nation in its documents. His honor has named the head of said authority as an ‘Angel of Peace’, as was explained by a spokesman for the Vatican, that his intention was to encourage Abu Mazen to advance towards peace. These actions, to our great dismay, are consistent with a long series of actions and stances that are as in the days of the Roman Catholic Religion, that swore to persecute Israel because we refused to accept their Messiah as the Messiah of Israel, and to renounce our faith. The recent announcements and actions of the Vatican are a rebuke to the Jewish Nation and to the Bible, which you use to interpret the prophecies, as if God has abandoned his original Nation of Israel. Reality has proven the opposite to be true.”We require from you an apology for your recognizing as a nation those who stole the land, those who are known as the Palestinian Authority, and we are informing the Vatican that the sole God given right to the land of Israel is to the Nation of Israel. If His Honor the Pope, and the Vatican, do not apologize within two weeks of receiving this letter, and if he does not change his ways, we shall judge these actions in the Court of Mount Zion, in a court of 71 Jewish elders of Zion, and enact the prophecy of ‘The liberators will rise up upon Mount Zion, to judge the Mountain of Esau and the kingdom shall be God’s’ (Obadiah 1:21). The court shall judge the Vatican in its presence or in absentia, and it is possible that the Vatican will be found guilty of anti-Semitism, as has been known to be done several times throughout history, and to place responsibility upon the Vatican for all of the outcomes of its actions.”The letter was signed, “The Secretariat of the Court of Mount Zion”. The authorized representatives of the High Court are Rabbi Yoel Schwartz, Rabbi Dov Levanoni, Rabbi Israel Ariel, Rabbi Daniel Stavsky, Rabbi Yehuda Edri, and Rabbi Dov Meir Shtein.The Sanhedrin has no political or legal status, and clearly has no authority over the Vatican. However, it is comprised of some of the greatest rabbis of the modern Jewish nation, men who have dedicated themselves to Torah, serving God and Israel. One of the main leaders behind the revival of the Sanhedrin is Rabbi Yoel Schwartz, well known for his advocacy in strengthening non-Jewish support for Israel.The court’s rulings have the highest spiritual significance. The commandment to appoint judges is learned directly from the Bible (Exodus 18:13) and the present Sanhedrin is an effort to reestablish a tradition dating back to Moses.Pope Francis’ recent visit to Israel and many of his actions caused disturbing waves in the difficult situation in the region.His controversial description of Abbas as an “angel of peace” led to the Vatican backtracking and attempts to placate Israel. The Pope’s much-publicized meditation at a section of the security barrier prominently displaying pro-boycott graffiti was used by the Palestinians in an appeal to remove the much-needed security measure. That section of the wall also showed graffiti comparing the wall around Bethlehem to the Warsaw Ghetto. Pictures of the Pope’s visit to the wall went viral and became a symbol for anti-Israel sentiment.While in Israel, Pope Francis attended Sunday mass at the Church of the Nativity. In his sermon, Latin Patriarch Fuoad Twal accused Israelis of being the present-day version of Christ killers by referring to the Palestinians as walking “in the footsteps of the Divine Child,” and likening the Israelis to King Herod. Shockingly, Pope Francis echoed his remarks in a later speech.Pope Francis embraced the Palestinian mufti of Jerusalem, Sheikh Muhammed Hussein calling him “dear brother” in a show of great affection. In 2012, Hussein said it was the destiny of Muslims to kill Jews, who he claims are “subhuman beasts and the enemies of Allah.” Sheikh Hussein has also praised suicide bombers and said their souls “tell us to follow in their path,” remarks the Pope has never condemned.Most significant, perhaps was a story of the Pope’s visit Caroline Glick told The Jerusalem Post. In a conversation with the Pope, Israeli Prime Minister Binyamin Netanyahu mentioned that Jesus spoke Hebrew. Pope Francis corrected him, saying that Jesus spoke Aramaic. A flustered Netanyahu agreed that educated Jews at the time spoke Aramaic, but the language of the common people and the language Jesus preached in was Hebrew.Reuters wrote of the exchange, noting that, “Modern-day discourse about Jesus is complicated and often political.” The report went on to explain, “Palestinians sometimes describe Jesus as a Palestinian. Israelis object to that.”Pope Francis embraced Arab leaders, but more significantly, he accepted Palestinian national status, precluding any negotiated peace process, and voiding the validity of Israel’s claim to their God-given homeland. THE 4TH ABORTION VIDEO OUT OF GATHERING THREW ACTUAL ABORTED BABY PARTS. THE 4TH ABORTION VIDEO OUT OF GATHERING THREW ACTUAL ABORTED BABY PARTS.IT SEEMS NANCY POLOSI IS HEAVILY INVOLVED WITH PLANNED PARENTHOOT.AS WELL AS OTHER LIBERAL-DEMOCRATE GOVERNMENT OFFICIALS. THE LEFT-WING LIBERAL-DEMOCRATES WANT A DOCTOR CHARGED AND THROWN IN JAIL.FOR KILLING A LION NAMED CECIL.BUT THESE INNOCENT BABY CHILD REN CAN BE MURDEREED BY ABORTION DOCTORS.AND THEIR BODY PARTS SOLD ON THE OPEN MARKET.AND THERE IS NO OUTCRY FROM THE LEFT SAYING. THESE ABORTION DOCTORS SHOULD BE THROWN IN JAIL FOR MURDERING GODS CREATED CHILDREN.AND SELLING THEIR CREATED BODY PARTS.AS WELL AS PUT TISSUE IN SOME POP-TO SWEETIN IT UP.CAN YOU BELIEVE HOW FAR FROM HOLINESS OUR WORLD HAS FELL.AND JUDGEMENT IS ON OUR DO0R STEPS AS A RESULT OF OUR ACTIONS. THE LEGAL MURDERERS AT PLANNED PARENTHOOD.NOT ONLY MURDER GODS CREATED HUMAN CHILDREN.BUT ALSO SELL THE BODY PARTS OF THE MURDERED-ABORTED BABIES. DENVER, July 30--New undercover footage shows Planned Parenthood of the Rocky Mountains’ Vice President and Medical Director, Dr. Savita Ginde, negotiating a fetal body parts deal, agreeing multiple times to illicit pricing per body part harvested, and suggesting ways to avoid legal consequences.Planned Parenthood of the Rocky Mountains (PPRM) is a wealthy, multi-state Planned Parenthood affiliate that does over 10,000 abortions per year. PPRM has a contract to supply aborted fetal tissue to Colorado State University in Fort Collins.In the video, actors posing as representatives from a human biologics company meet with Ginde at the abortion-clinic headquarters of PPRM in Denver to discuss a potential partnership to harvest fetal organs. When the actors request intact fetal specimens, Ginde reveals that in PPRM’s abortion practice, “Sometimes, if we get, if someone delivers before we get to see them for a procedure, then we are intact.”Since PPRM does not use digoxin or other feticide in its 2nd trimester procedures, any intact deliveries before an abortion are potentially born-alive infants under federal law (1 USC 8).“We’d have to do a little bit of training with the providers or something to make sure that they don’t crush” fetal organs during 2nd trimester abortions, says Ginde, brainstorming ways to ensure the abortion doctors at PPRM provide usable fetal organs.When the buyers ask Ginde if “compensation could be specific to the specimen?” Ginde agrees, “Okay.” Later on in the abortion clinic’s pathological laboratory, standing over an aborted fetus, Ginde responds to the buyer’s suggestion of paying per body part harvested, rather than a standard flat fee for the entire case: “I think a per-item thing works a little better, just because we can see how much we can get out of it.”The sale or purchase of human fetal tissue is a federal felony punishable by up to 10 years in prison or a fine of up to $500,000 (42 U.S.C. 289g-2). Federal law also requires that no alteration in the timing or method of abortion be done for the purposes of fetal tissue collection (42 U.S.C. 289g-1).Ginde also suggests ways for Planned Parenthood to cover-up its criminal and public relations liability for the sale of aborted body parts. “Putting it under ‘research’ gives us a little bit of an overhang over the whole thing,” Ginde remarks. “If you have someone in a really anti state who’s going to be doing this for you, they’re probably going to get caught.”Ginde implies that PPRM’s lawyer, Kevin Paul, is helping the affiliate skirt the fetal tissue law: “He’s got it figured out that he knows that even if, because we talked to him in the beginning, you know, we were like, ‘We don’t want to get called on,’ you know, ‘selling fetal parts across states.’” The buyers ask, “And you feel confident that they’re building those layers?” to which Ginde replies, “I’m confident that our Legal will make sure we’re not put in that situation.”As the buyers and Planned Parent hood workers identify body parts from last fetus in the path lab, a Planned Parenthood medical assistant announces: “Another boy!”The video is the latest by The Center for Medical Progress documenting Planned Parenthood’s sale of aborted fetal parts. Project Lead David Daleiden notes: “Elected officials need to listen to the public outcry for an immediate moratorium on Planned Parenthood’s taxpayer funding while the 10 state investigations and 3 Congressional committees determine the full extent of Planned Parenthood’s sale of baby parts.” Daleiden continues, “Planned Parenthood’s recent call for the NIH to convene an expert panel to ‘study’ fetal experimentation is absurd after suggestions from Planned Parenthood’s Dr. Ginde that ‘research’ can be used as a catch-all to cover-up baby parts sales. The biggest problem is bad actors like Planned Parenthood who hold themselves above the law in order to harvest and make money off of aborted fetal brains, hearts, and livers.”###-See the video at: https://www.youtube.com/watch?v=GWQuZ...Tweet: #PPSellsBabyParts-For more information on the Human Capital project, visit centerformedicalprogress.org.The Center for Medical Progress is a 501(c)3 non-profit dedicated to monitoring and reporting on medical ethics and advances. IDF SAYS IT COULD LAUNCH PREEMPTIVE STRIKES IN THE SINAI. Over 10 years ago, many months before the target date set for Israel’s disengagement from the Gaza Strip, a dozen Israeli and Palestinian experts convened secretly in a European resort. They were there in an effort to work out a joint plan to transform what was devised by late prime minister Ariel Sharon as a purely unilateral move — evacuating the settlements there and pulling out the IDF — into a well-coordinated initiative which would allow the parties to re-engage in the stalled peace process.Unfortunately, I am still not allowed to disclose the names of the participants — except those of my late colleague Ze’ev Schiff and myself — or the identity of the European prime minister who hosted the meetings. But among those attending were some of Yasser Arafat’s top advisers, including from Gaza, as well as several Israelis who previously held high-ranking positions in different branches of the government.The sessions were focused on drafting a document offering a new approach to the withdrawal from Gaza. Three days of lively — sometimes heated — discussions ended with an agreed 10-page paper titled: “Disengagement towards Re-engagement: A policy of unilateral disengagement and mutual responsibilities.”The Palestinian participants were in frequent contact with their leadership in Ramallah. The Israelis — none of them close to the government — planned to present the proposals to Sharon once back home.Here are some of the highlights, published here for the first time.The preamble read:Opportunity or Calamity-The Israelis and Palestinians stand today on the threshold of either opportunity or disaster. The disengagement initiative of the Israeli government can become either an unprecedented breakthrough leading to the renewal of the peace process or it can lead to a catastrophic series of events that will doom progress for a generation.‘We had grave doubts whether Arafat would abide by the clauses… Yet we felt it was worth trying to obtain Palestinian commitments in exchange for the territories they were about to receive’-What is Success?-Success of the initiative must be defined as a complete Israeli disengagement from Gaza and the region between Nablus and Jenin – a larger geographic area than Gaza, hereafter referred to as the Northern West Bank (NWB) – in accordance with Prime Minister Sharon’s plan. The ultimate goal must be a peace treaty consistent with the roadmap.-Action Now-Only a policy based on specific and certifiable actions by both sides, as we have outlined below, will enable such success. Only then will both Israeli and Palestinian constituencies and the international community insist to the political leaders of both sides that the precedent be repeated on the West Bank. Furthermore, if the policy is to be workable, both sides must confront their internal opponents.Then the paper suggested an Action Plan:If planning for implementation does not happen now, the necessary preparations will not be in place on the day of withdrawal. It is therefore imperative that the following steps be enacted immediately. There is no time to waste.On the Palestinian side:1) Law and order must be reinstated on the Palestinian streets.2) To do so will require reorganization and reform of the Palestinian security structure, based on the creation of three distinct branches, each with a clearly defined mandate, explicitly defined functional jurisdiction, and full accountability. Their missions are:To combat subversion and terrorism and keep law and order.Gendarmerie-Gathering and assessment of information on external developments.The heads of the security services should be professional security experts with no political involvement. Specific information about imminent terror activities as well as long-term plans should be promptly relayed to the Palestinian ISS (Internal Security Services).3) All Palestinian militias and military groups must be fully disarmed, and all unauthorized weapons must be confiscated. Cessation of all hostile activities against Israel is required. 4) The manufacturing of weapons must end completely, along with the smuggling of weapons and ammunition into Palestinian territory. 5) The Palestinian Authority will assume responsibility for the handover of Gaza and the NWB after the Israeli departure. A single party must have the ultimate responsibility for developments inside these territories. 6) The entire process of Palestinian reform must be accelerated before reaching the final deadline for Israel’s withdrawal.On the Israeli side: 1) It is essential that Israel implement the undertakings it assumed in writing in its April 2004 agreements with the US. Israel will compromise the credibility of its unilateral disengagement strategy if it does not carry out these promised actions. As stated in the exchange of letters, these agreements include a commitment to the following:Establishing restrictions on settlement growth, in conjunction with the US. Removal of unauthorized settlement outposts. Lifting mobility restrictions in the West Bank and Gaza (including roadblocks and barriers). 2) In addition to the above commitments, Israel should take the following types of steps to encourage and facilitate positive Palestinian behavior as actions are taken by the Palestinians to change conditions on the ground in Gaza and the West Bank. These possible steps include:Subject to implementation of all Palestinian commitments Israel should end all targeted assassinations and other military incursions into Gaza and the West Bank. This will be especially important with the presence of Egyptian, US, and/or other international officials assisting in Gaza and the NWB.‘Upon returning to Israel, three of us went to present our ideas to Sharon. As far as I remember, we spent 2-3 hours debating the pros and cons of the document’Israel should re-open the safe passage from Gaza to the West Bank. If the disengagement continues to succeed, then the plan to construct a railway passage between the West Bank and Gaza should be implemented subject to the successful conclusion of a feasibility study and financial arrangements.The airport should be re-opened subject to mutually agreed security arrangements. The reconstruction of a seaport in Gaza must commence consistent with signed agreements and mutually agreed security arrangements. As long as this seaport is not fully operational, an alternative option should be considered, most likely in Ashdod.A special role was allocated to third-party actors:There should be an American-led team to coordinate and assist with security reforms. It should include the participation of several countries, especially Arab and European, in a variety of training and supervisory roles.A limited team of international monitors, as called for in the roadmap, should be appointed to verify Palestinian performance and Israeli withdrawals. It should be restricted to verification, but it should not play any military role, “peace keeping” role, or any form of an imposed solution. The monitors should be appointed by the Quartet to whom they should report. Although the Quartet will write their rules of engagement, they should be deployed only with the acceptance of both the Israelis and the Palestinians.It must be made clear by Israel, the Quartet and the World Bank to the people of Gaza what will happen immediately upon Israeli withdrawals, including the dispersal of agricultural land, new housing plans and the dispersal of settler assets. The monitors should also supervise Palestinian compliance with any commitments they may have made to the international community, regarding destructive behavior both during and after the Israeli withdrawals.Given the critical importance of economic improvement in Palestinian society, the international community through the AHLC (the Ad Hoc Liaison Committee of the Donors) must develop a plan for rehabilitation of the Palestinian economy (please see the economic section below). Only donors through the World Bank should handle all non-security and political issues, including joint teams to handle handover and development issues.Then the document went into details of an economic plan based on close Israeli-Palestinian cooperation with Western and Arab assistance.It concluded with a statement:“Obviously, the economic and security challenges to disengagement are enormous, but the potential benefits are of equal magnitude. If concerted Israeli, Palestinian and international planning begins immediately, the prospects of success will be enhanced though even then by no means assured. Success itself will occur only after constant vigilance, determined effort, and prolonged engagement by all sides. There is no time to lose.”In addition to the document itself one of the Palestinian participants, a top official of the PA security services, presented a detailed plan to stop weapon smuggling through the tunnels along the Gaza-Egypt border..-Of course we had grave doubts whether Arafat would abide by the clauses of the proposed coordination effort. The text was translated in full into Arabic for his review.Yet we felt it was worth trying to obtain Palestinian commitments in exchange for the territories they were about to receive.There was an obvious advantage to at least offering such coordination with a set of mutual obligations.Upon returning to Israel, three of us went to present our ideas to Sharon. As far as I remember, we spent 2-3 hours debating the pros and cons of the document.At the end, Sharon — always attentive and polite — informed us that he preferred unilateralism. He did not change his mind when Mahmoud Abbas succeeded Arafat.Within two years Hamas had taken over the Gaza Strip. AS USUAL THIS ARAB ISRAEL HATER COMPARES ISRAEL IN CONTROL OF THEIR LAND TO AN APARTHEID.THIS IS COMPLETE NONESENSE. GOD GAVE ISRAEL THE LAND OF ISRAEL AND JERUSALEM.NOT NO BUNCH OF MURDERER ARABS THAT WANT TO KILL EVERY ISRAELI ON EARTH. Jordan on Friday condemned as an “ugly crime” an arson attack by suspected Jewish extremists that killed a Palestinian toddler in the West Bank and wounded three family members.“This ugly crime could have been avoided if the Israeli government had not ignored the rights of the Palestinian people and turned its back on peace… in the region,” government spokesman Mohammed Momani said.Momani, who is also minister of state for media affairs, said Jordan holds Israel “responsible” for the death of 18-month-old Ali Saad Dawabsha and for all attacks on the Palestinian people.Prime Minister Benjamin Netanyahu on Friday forcefully condemned the attack on a Palestinian family in Duma as a “horrific, heinous” crime that is “a terror attack in every respect.”Two homes in the Palestinian village of Duma, south of Nablus, were set alight, and the Hebrew words “Revenge” and “Long live the king messiah” were spray-painted on their walls, alongside a Star of David, overnight Thursday-Friday. The slain toddler’s parents, as well as his 4-year-old brother, were injured and evacuated to the hospital. The mother and toddler were in critical condition.The prime minister said he instructed the security forces to “use all the resources at their disposal to capture the killers and bring them to justice as soon as possible.” The attack was roundly denounced by Israeli politicians, including Deputy Foreign Minister Tzipi Hotovely, who said “harming an innocent person in Israel is a red line, regardless of religion or race.”The Palestinian Authority, meanwhile, blamed the Israeli government for the attack.PA President Mahmoud Abbas’s spokesman, Nabil Abu Rudeineh, said the Israeli government’s support for the settlements drove the attack, and urged the international community to respond.“This is a heinous crime that wouldn’t have happened if the government didn’t defend the settlers, and hadn’t insisted on building in the settlements,” he said, according to Israel Radio.Palestinian chief negotiator Saeb Erekat said Israel is “fully responsible for the brutal assassination of the toddler Ali Saad Dawabsha.“This is a direct consequence of decades of impunity given by the Israeli government to settler terrorism,” Erekat added. TEHRAN — Iran will not allow American or Canadian inspectors working for the U.N. nuclear watchdog to visit its nuclear facilities, an official said in remarks broadcast by state TV on Thursday.Deputy Foreign Minister Abbas Araghchi said Iran will only allow inspectors from countries that have diplomatic relations with it. The previously undisclosed remarks were made during a Sunday meeting with parliamentarians.“ American and Canadian inspectors cannot be sent to Iran,” said Araghchi. “It is mentioned in the deal that inspectors should be from countries that have diplomatic relations with Islamic republic of Iran.”He also said inspectors from the International Atomic Energy Agency will not have access to “sensitive and military documents.”Iran and world powers reached a historical deal earlier this month aimed at curbing Tehran’s disputed nuclear program in exchange for the lifting of international sanctions.Western nations have long suspected Iran is pursuing nuclear weapons alongside its civilian atomic program, allegations denied by Tehran, which insists its nuclear activities are entirely peaceful.The U.S. and Iran severed diplomatic relations after the 1979 Islamic revolution and the hostage crisis at the U.S. Embassy in Tehran. Canada closed its embassy in Tehran and suspended diplomatic relations in 2012. WASHINGTON (JTA) — A top Israeli diplomat in the United States wrote his superiors to warn that they cannot count on the US Jewish community to oppose the Iran nuclear deal.“At this crucial point of the Iranian issue — which for years has been at the core of Israeli foreign policy and was described countless times by the Israeli leadership as an existential threat — the Jewish community in the United States is not standing as a united front behind Israel and important parts of it are on the fence,” Yaron Sideman, the consul general in Philadelphia, wrote in a memo to Israel’s Foreign Ministry obtained by Haaretz on Thursday.Sideman quoted a Jewish regional federation CEO as saying that campaigning against the deal could alienate the White House and Democrats, which could inhibit Jewish organizational influence.The American Israel Public Affairs Committee and at least eight regional federations oppose the July 14 deal, heeding Israel’s government, which says the accord endangers Israel.However, a broad number of national groups have yet to pronounce on the deal one way or the other, although there is pressure to do so while Congress has until mid-to-late September to decide whether to stop or accept the deal. A senior military officer has said Israel could attack militants affiliated to the Islamic State in neighboring Egypt’s Sinai Peninsula, if they were about to attack Israeli soldiers or civilians.The “threat of terror from Sinai” has grown in recent years, Brigadier General Royi Elcabets said on Wednesday.Speaking at a ceremony marking the end of his two years as commander of the Edom division that controls the border with the Sinai, Elcabets said IS’s Egypt affiliate could attempt an attack on Israel.“It is our duty to preempt it and strike at it, if and when this happens,” he said in remarks relayed by the military.Militants loyal to the Islamic State have killed hundreds of Egyptian policemen and soldiers in Sinai since the army overthrew Islamist president Mohammed Morsi in 2013.The Egyptian military says it has killed more than 1,000 militants in Sinai, which borders Israel and the Palestinian Gaza Strip.An Israeli official familiar with the situation in Sinai would not address Elcabets’s remarks, but told AFP that “Israel is coordinated with states in the region on matters pertaining to the war on terror and terror groups.”According to the official, following the attacks on Egyptian forces in Sinai, “Israel agreed to Egypt’s request to allow more Egyptian forces and devices into Sinai, and provided intelligence to Egypt.”The amount of Egyptian military forces allowed in Sinai is stipulated in the 1979 peace treaty with Israel, which led to its withdrawal from the peninsula.